PASADENA, Calif. -- NASA's Dawn spacecraft, the first ever to orbit an object in the main asteroid belt, is spiraling towards its first of four intensive science orbits. 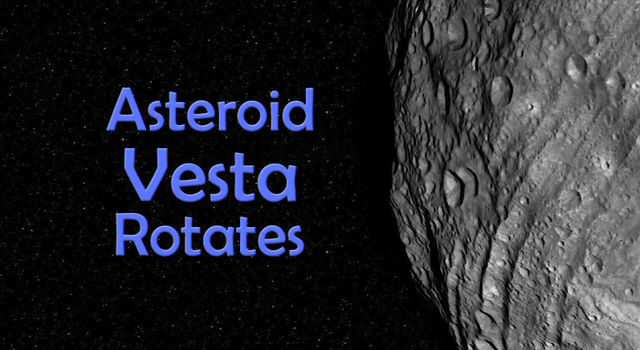 That initial orbit of the rocky world Vesta begins Aug. 11, at an altitude of nearly 1,700 miles (2,700 kilometers) and will provide in-depth analysis of the asteroid. 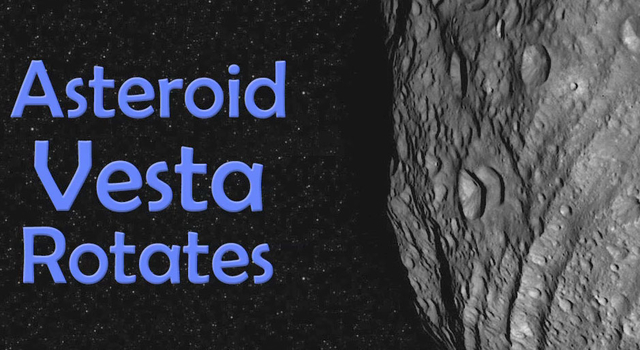 Vesta is the brightest object in the asteroid belt as seen from Earth and is thought to be the source of a large number of meteorites that fall to Earth. This image was taken at a distance of 3,200 miles (5,200 kilometers). 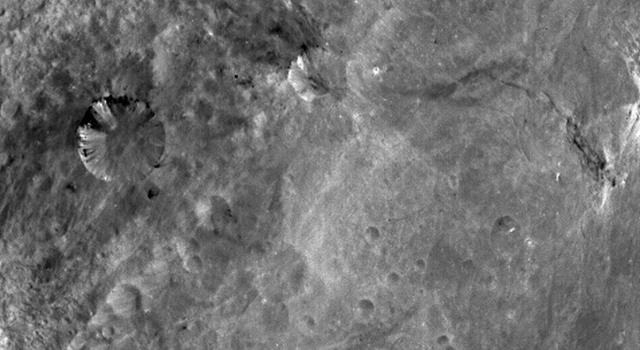 Images from Dawn's framing camera, taken for navigation purposes and as preparation for scientific observations, are revealing the first surface details of the giant asteroid. 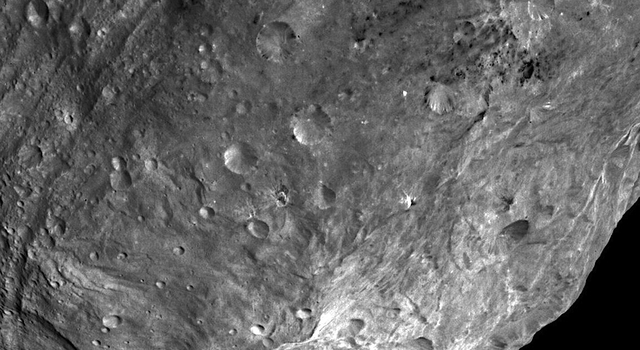 These images go all the way around Vesta, since the giant asteroid turns on its axis once every five hours and 20 minutes. 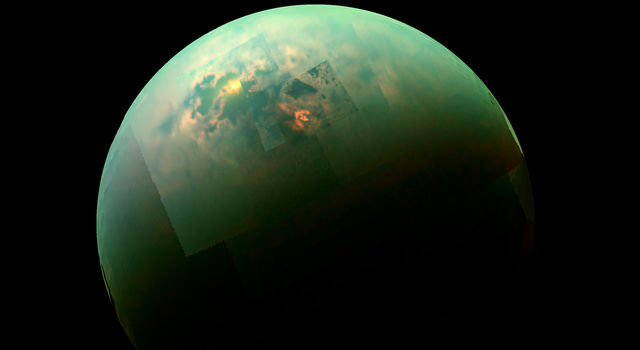 "Now that we are in orbit around one of the last unexplored worlds in the inner solar system, we can see that it's a unique and fascinating place," said Marc Rayman, Dawn's chief engineer and mission manager at NASA's Jet Propulsion Laboratory in Pasadena, Calif. 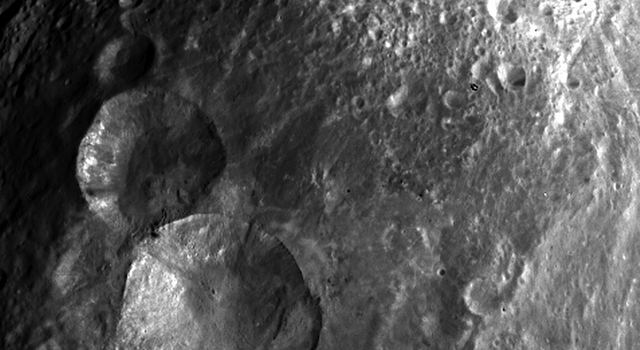 Engineers still are working to determine the exact time that Dawn entered Vesta's orbit, but the team has reported an approximate orbit insertion time of 9:47 p.m. PDT on July 15 (12:47 a.m. EDT on July 16). In addition to the framing camera, Dawn's instruments include the gamma ray and neutron detector and the visible and infrared mapping spectrometer. The gamma ray and neutron detector uses 21 sensors with a very wide field of view to measure the energy of subatomic particles emitted by the elements in the upper yard (meter) of the asteroid's surface. The visible and infrared mapping spectrometer will measure the surface mineralogy of both Vesta and Dawn's next target, the dwarf planet Ceres. 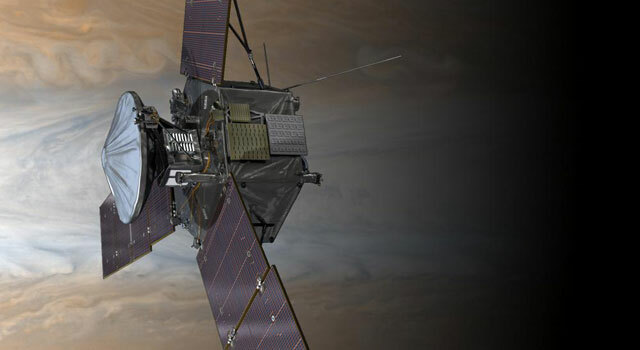 The spectrometer is a modification of a similar one flying on the European Space Agency's Rosetta and Venus Express missions. 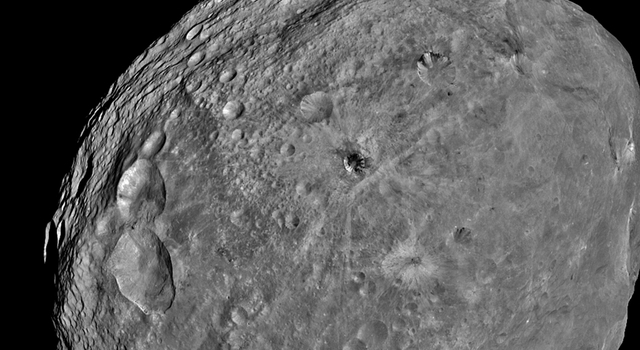 Dawn also will make another set of scientific measurements at Vesta and Ceres using the spacecraft's radio transmitter in tandem with sensitive antennas on Earth. Scientists will monitor signals from Dawn and later Ceres to detect subtle variations in the objects' gravity fields. 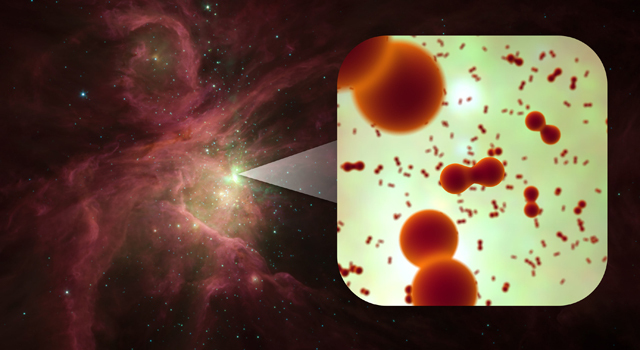 These variations will provide clues about the interior structure of these bodies by studying the mass distributed in each gravity field. "The new observations of Vesta are an inspirational reminder of the wonders unveiled through ongoing exploration of our solar system," said Jim Green, planetary division director at NASA Headquarters in Washington. Dawn launched in September 2007. Following a year at Vesta, the spacecraft will depart in July 2012 for Ceres, where it will arrive in 2015. Dawn's mission to Vesta and Ceres is managed by JPL for NASA's Science Mission Directorate in Washington. JPL is a division of the California Institute of Technology in Pasadena. 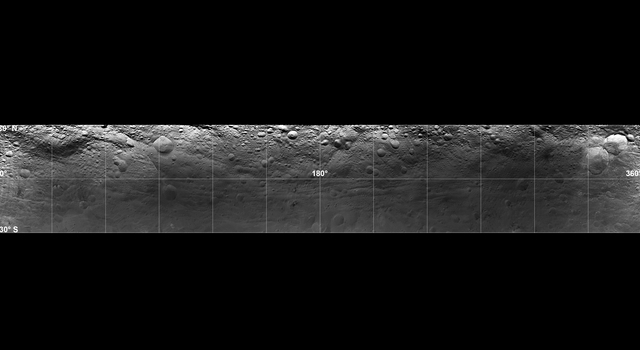 Dawn is a project of the directorate's Discovery Program, managed by NASA's Marshall Space Flight Center in Huntsville, Ala.
For more information about Dawn, visit: http://www.nasa.gov/dawn .